Taking clonazepam with opioid medications (such as codeine, hydrocodone) may increase your risk of very serious side effects, including death. To lower your risk, your doctor should have you take the smallest dose of clonazepam that works, and take it for the shortest possible time. Get medical help right away if any of these very serious side effects occur: slow/shallow breathing, unusual lightheadedness, severe drowsiness/dizziness, difficulty waking up. Who should not take Clonazepam Tablet,Disintegrating? 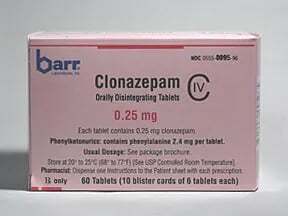 Clonazepam is used to prevent and control seizures. This medication is known as an anticonvulsant or antiepileptic drug. It is also used to treat panic attacks. 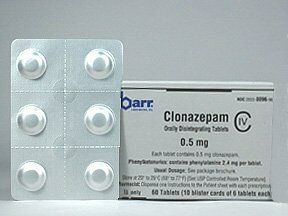 Clonazepam works by calming your brain and nerves. It belongs to a class of drugs called benzodiazepines. Do not remove the tablet from its pouch until you are ready to take it. Dry your hands before handling the medication. Open the pouch and peel back the foil layer. Do not push the tablet through the foil because it may get damaged. Place the dose in your mouth where it will quickly dissolve. You can then swallow it with saliva or water. You do not need to take this medication with water. Dosage is based on your medical condition, age, and response to treatment. For children, the dose is also based on weight. Older adults usually start with a lower dose to decrease the risk of side effects. Do not increase your dose, take it more often, or take it for a longer time than directed. This medication may cause withdrawal reactions, especially if it has been used regularly for a long time or in high doses. In such cases, withdrawal symptoms (such as seizures, mental/mood changes, shaking, stomach/muscle cramps) may occur if you suddenly stop using this medication. To prevent withdrawal reactions, your doctor may reduce your dose gradually. Consult your doctor or pharmacist for more details, and report any withdrawal reactions right away. If you have several different types of seizure disorders, you may experience a worsening of seizures when you first start using clonazepam. Consult your doctor right away if this happens. Your doctor may need to add or adjust the dose of your other medications to control the seizures. What conditions does Clonazepam Tablet,Disintegrating treat? Drowsiness, dizziness, tiredness, loss of coordination, or increased saliva production may occur. If any of these effects persist or worsen, tell your doctor or pharmacist promptly. A small number of people who take anticonvulsants for any condition (such as seizures, bipolar disorder, pain) may experience depression, suicidal thoughts/attempts, or other mental/mood problems. Tell your doctor right away if you or your family/caregiver notice any unusual/sudden changes in your mood, thoughts, or behavior, including: confusion, memory problems, signs of depression, suicidal thoughts/attempts, thoughts about harming yourself. Tell your doctor right away if any of these unlikely but serious side effects occur: easy bruising/bleeding, signs of infection (such as fever, persistent sore throat). 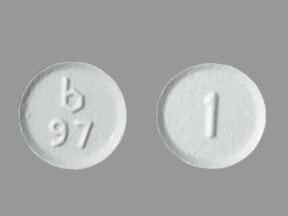 List Clonazepam Tablet,Disintegrating side effects by likelihood and severity. Before using this medication, tell your doctor or pharmacist your medical history, especially of: a certain type of eye problem (narrow angle glaucoma), a certain blood disorder (porphyria), liver disease, kidney disease, lung/breathing problems, mental/mood problems (such as depression, thoughts of suicide), personal or family history of a substance use disorder (such as overuse of or addiction to drugs/alcohol). What should I know regarding pregnancy, nursing and administering Clonazepam Tablet,Disintegrating to children or the elderly? Products that may interact with this drug include: orlistat, sodium oxybate. The risk of serious side effects (such as slow/shallow breathing, severe drowsiness/dizziness) may be increased if this medication is taken with other products that may also cause drowsiness or breathing problems. Tell your doctor or pharmacist if you are taking other products such as opioid pain or cough relievers (such as codeine, hydrocodone), alcohol, marijuana, drugs for sleep or anxiety (such as alprazolam, lorazepam, zolpidem), muscle relaxants (such as carisoprodol, cyclobenzaprine), or antihistamines (such as cetirizine, diphenhydramine). Does Clonazepam Tablet,Disintegrating interact with other medications? If someone has overdosed and has serious symptoms such as passing out or trouble breathing, call 911. Otherwise, call a poison control center right away. US residents can call their local poison control center at 1-800-222-1222. Canada residents can call a provincial poison control center. Symptoms of overdose may include: severe drowsiness, confusion, loss of consciousness, slowed/decreased reflexes. Laboratory and/or medical tests (such as liver function tests, complete blood count) should be performed periodically to monitor your progress or check for side effects. Consult your doctor for more details. This medicine is a white, round, tablet imprinted with "b 94" and "1/8". This medicine is a white, round, tablet imprinted with "b 95" and "1/4". This medicine is a white, round, tablet imprinted with "b 96" and "1/2". 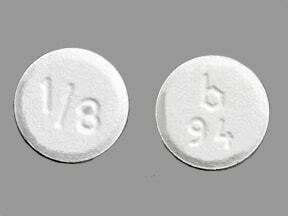 This medicine is a white, round, tablet imprinted with "b 97" and "1". 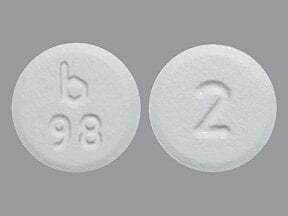 This medicine is a white, round, tablet imprinted with "b 98" and "2". 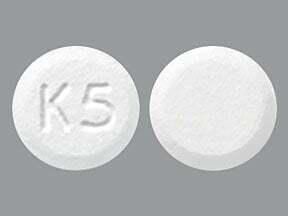 This medicine is a white, round, tablet imprinted with "K5". 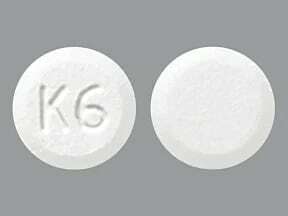 This medicine is a white, round, tablet imprinted with "K6". 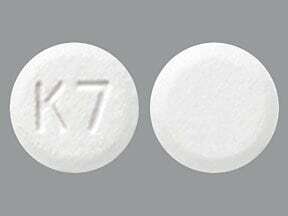 This medicine is a white, round, tablet imprinted with "K7". 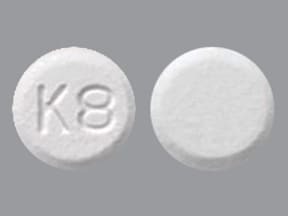 This medicine is a white, round, tablet imprinted with "K8". 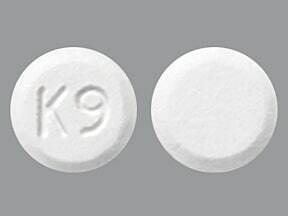 This medicine is a white, round, tablet imprinted with "K9". Are you taking Clonazepam Tablet,Disintegrating? Are you considering switching to Clonazepam Tablet,Disintegrating? How long have you been taking Clonazepam Tablet,Disintegrating?